The Community Development and Knowledge Management for the Satoyama Initiative Programme (COMDEKS) was launched in 2011 to support local community activities that maintain and rebuild target production landscapes and seascapes, and to collect and disseminate knowledge and experiences from successful on-the-ground actions so that, if feasible, they can be adapted by other communities throughout the world to their specific conditions. The programme provides small-scale finance to local community organizations in developing countries to support sound biodiversity and ecosystem management as well as to develop or strengthen sustainable livelihood activities planned and executed by community members themselves. The target landscape selected as the focus of COMDEKS activities in Kyrgyzstan is a coastal strip around Lake Issyk-Kul, located in Issyk-Kul Province. The target landscape selected as the focus of COMDEKS activities in Kyrgyzstan is a coastal strip around Lake Issyk-Kul, located in Issyk-Kul Province. Lake Issyk-Kul is the largest lake in Kyrgyzstan; it is one of the 25 largest lakes in the world and the seventh deepest. It is located in the northeastern part of the country between the mountain ranges of the Northern Tien Shan at an altitude of 1,609 m above sea level. Lake Issyk-Kul extends from west to east for 182 km, and from north to south for 58 km, with a surface area of 6,236 km². Being an inland lake, there are up to 80 tributaries running into it. The lake water is slightly salty, with a salinity of 0.59 percent. The maximum lake depth is 702 m, with the average depth being 278 m. Issyk–Kul is the second most transparent lake in the world after Lake Baikal. The COMDEKS target area is a coastal strip that extends for 688 km, limited on one side by the surf line of the lake and on the other by a highway and several mountain areas nearby which are the parts of the local nature protection territories Issyk-Kul State Reserve and Sarychat-Ertash State Reserve. Known for its beauty and historic character, the area faces pressure from the influx of tourists in summer, which can at times exceed the carrying capacity of local ecosystems, making protection of this pristine ecosystem increasingly important. Known for its inimitable beauty, Lake Issyk-Kul is rich in natural resources and biodiversity, with a number of areas under the protection of the Issyk-Kul State Reserve and wetlands protected under the Ramsar Convention. However, over the last 50 years, the ecosystem has suffered significantly, partly through tree felling and the inappropriate uprooting and burning of local sea buckthorn thickets. Experts estimate that the degradation of some coastal ecosystems has reached a critical stage, and without urgent protection and restoration measures, this environmental degradation may become irreversible in the near future. Poorly regulated fish farming puts an additional strain on the target landscape, as predatory fish species make their way from nursery ponds into the lake, threatening the natural endemic fish population. Studies have shown that Lake Issyk-Kul is vulnerable to the industrial-scale use of its fish resources and that only recreational fishing is advisable here. With the collapse of the Soviet Union and the transition from a collective to a private property system, much of the land was abandoned and withdrawn from economic use, leaving many of the irrigation wells nonfunctional today. Moreover, the condition of pastures in the lake’s coastal zone has deteriorated through uncontrolled grazing, which has led to replacement of valuable forage grasses with prickly and poisonous plants. For this reason, large areas of formerly productive land in the target area are currently unused. Regaining use of this land as a productive landscape once again will require a number of measures, including rehabilitating wells, introducing drip irrigation systems, reducing cattle grazing, reviving traditional knowledge of plant cultivation, and developing greenhouse farms, among other actions. In addition, it is necessary to protect and restore natural ecosystems adjacent to the productive land areas. Issyk-Kul Province has a population of over 400,000 people, mostly employed in the tourism and agriculture sectors. Livestock production is a critical aspect of the local farm economy, and many people are also involved in fishing activities. In spite of an increasing focus on agricultural production, the local population strongly depends on food imports from nearby Kazakhstan, Russia, and China. Due to a heavy dependence on livestock production, overgrazing has led to the replacement of forage grasses with poisonous plants, threatening human and livestock health. Furthermore, the growing agricultural sector relies heavily on the use of chemical fertilizers and pesticides, with the potential of polluting the lake ecosystem. While on average lower than the national level, poverty rates in certain districts around the lake are high, with up to 75 percent of the population living in poverty in some areas. As a result, communities are highly dependent on the local ecosystem for resources, leading to excessive use, soil erosion, water pollution, deforestation and subsequent land degradation. Deforestation and removal of sea buckthorn: Over the past 50 years, the area under flood plain forests has shrunk due to rapid deforestation from tree felling and the uprooting and burning of sea buckthorn, a shrubby plant that plays an important role in the purification of the lake’s surface and ground water. Due to agricultural development of the coastal area, sea buckthorn thickets now cover only a few thousand hectares—only about one third of the sea buckthorn cover that existed on the north shore of Lake Issyk-Kul 20 years ago. Overgrazing and reduced public health: Uncontrolled grazing has led to the replacement of valuable forage grasses with prickly and poisonous plants, deteriorating the condition of pastures and threatening human and animal life. According to local observations, pasture conditions have deteriorated substantially over the last 50 years. In addition, livestock is a source of a number of transmissible diseases, so livestock grazing on the shoreline poses a threat to human health and damages further tourism development in Issyk-Kul. Uncontrolled fish farming: Uncontrolled fish farming has resulted in farmed predatory fish species migrating into the lake, thus threatening several endemic fish species. Increased use of chemicals in agriculture: The increasing use of fertilizers and pesticides poses a significant threat to the coastal ecosystem, as these substances can be discharged into the lake and impact water quality and ecosystems in and around the lake. Increased tourism: The development of tourism infrastructure and services has resulted in a significant increase in the number of tourists in recent years. The rapid increase in the number of visitors to Issyk-Kul (which has grown to about 1,000,000 annually) has strained the coastal ecosystems, making the decline in ecological conditions more acute. In addition, the unregulated and largely unplanned development of tourism and agriculture in the area has led to poor land use decisions and increased environmental pressures. Poverty rates: While lower than the national average, poverty rates are quite high in some areas, with up to 60-70 percent of the population living in poverty. In October 2013, a Baseline Assessment was carried out by the American University of Central Asia to understand the current state of the landscape and to identify potential interventions to develop sustainable livelihood activities in the context of sound biodiversity management. A group of experts in various disciplines, such as biodiversity, ecosystem productivity, sustainable agriculture, sociology, irrigation, and renewable energy, visited over 50 communities surrounding Lake Issyk-Kul to involve them in the assessment process. Over 20 presentations and small workshops were conducted and over 280 community members participated in the Baseline Assessment workshop, following which the resilience indicators were scored by 18 community delegates, both men and women. Based on results of the workshop, expert studies, and recommendations proposed, a Landscape Strategy was developed with the long-term goal of enhancing the resilience of the socio-ecological production landscape. The overall objective of the COMDEKS Country Programme Landscape Strategy in Kyrgyzstan is to protect natural ecosystems and enhance the resilience of the local socio-ecological production landscape through community-based activities. Table K-1 details the four Landscape Outcomes around which the Landscape Strategy has been built, along with Key Performance Indicators used to measure progress toward these Outcomes. Restoration of degraded landscapes and coastal ecosystems, along with their sustainable management, to ensure a continued provision of ecosystem services. · Number of hectares (area) and types of degraded ecosystems in the landscape that have been restored. · Number of hectares (area) of degraded ecosystems in the landscape brought under sustainable land/resource management. · Number of people within the landscape communities participating in biodiversity conservation and sustainable land management activities funded by COMDEKS (disaggregated by gender). Sustainable agricultural practices implemented across the landscape to enhance and revive traditional conservation and production practices, and the adoption of eco-innovative technologies. · Number of hectares where more sustainable land use and agricultural practices are implemented, by type (i.e. traditional and innovative practices). · Number of communities participating in sustainable agricultural practices promoted by COMDEKS. Livelihood and wellbeing of target social groups sustained and enhanced through the development of livelihood enterprises in line with local traditions and cultures. · Increase in household income and assets as a result of supported activities. · Number and type of livelihood enterprises or alternative income sources established and sustained. Strengthened institutional capacity at the landscape level to integrate conservation and production in the management of the target landscape. · Number of institutions (or participatory governance mechanisms) created or strengthened that are engaged in integrated landscape management. · Number and type of plans and decisions relevant to the target landscape that are agreed and implemented. · Number of COMDEKS lessons learned and best practices captured at the program level. Forest restoration activities (protection and restoration of riparian tugai forests and bushes) to enhance landscape connectivity and increase landscape resilience. Restoring populations of animal and plant species in the coastal zone that are listed in the Red Book of Kyrgyzstan. Changes in crop and herd management. Use of renewable energy sources to reduce the felling of coastal thickets and to restore land productivity. Establishment of a school for sustainable farming and appropriate networking. The COMDEKS Kyrgyzstan Country Strategy has a portfolio of 15 local projects, supported by small grants of US$10,000 to US$50,000 (see Table K-2). 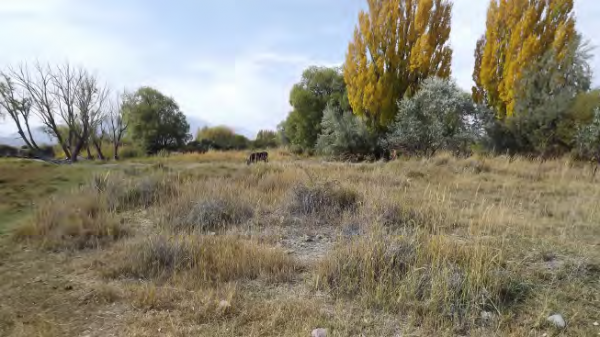 Outcomes 1, 2, 3, 4 Conservation of the “Kara-Oi” dendrological park in the north beach area of Lake Issyk-Kul, through the introduction of drip irrigation and the creation of nurseries to raise endemic species of trees and bushes, including sea buckthorn. US$10,750 Outcomes 1, 4 Conservation of the habitat of the whooper swan (Cygnus cygnus) and other wetland bird species, through the bio-remediation of petroleum-contaminated soils in the area of Balykchy Bay and development of bird-watching tourism. Outcomes 2, 3, 4 Conservation of the coastal ecosystem in Irdyk Bay by setting up a specialized outdoor educational zone for demonstration of non-waste agriculture and dissemination of sustainable farming practices among local farmers. Outcomes 2, 3, 4 Restoration of 100 ha of degraded lands in the Kara-Bulun Bay and conservation of endemic species of fruit and berry plants through the introduction of drip irrigation and dissemination of sustainable farming practices among local farmers. Outcomes 1, 2, 3, 4 Establishment of a community wildlife reserve for preservation of the habitat of the Central Asian frog (Rana asiatica) in the village of Kuturgu, Tup Rayon, in Issyk-Kul Province, and development of ecotourism infrastructure and services. Outcomes 1, 2, 3, 4 Preservation of the Lake Issyk-Kul ecosystem through the restoration of endemic fish populations, using the grounds of the biological research station in Cholpon-Ata town for rearing ponds. Renewable energy technologies will be used during the fish-rearing process. Outcomes 1, 2, 3, 4 Preservation of the biodiversity of wetland birds in a coastal zone of the village Chon-Sary-Oi, through the creation of a community micro-reserve on 2.5 hectares of degraded lands, and through the development of ecotourism infrastructure and services. Outcomes 1, 2, 3, 4 Preservation of endemic sea buckthorn-barberry thickets on 6.7 ha in the Zhenish village coastal zone through the creation of a community micro-reserve and the restoration of 16 ha of degraded lands through organic fruit cultivation. US$15,000 Outcomes 1, 2, 3, 4 Preservation of biodiversity in the “Kokui-Kol” site of the Issyk-Kul State Reserve buffer zone, through the strengthening of women’s leadership, establishment of a social enterprise for beekeeping, and development of ecotourism services in Ak-dobo village in Issyk-Kul Province. US$35,500 Outcomes 1, 3, 4 Conducting widespread information campaigns for the population of Issyk-Kul Province, and the creation of a natural history museum of the “Issyk-Kul Biosphere” territory in the town of Balykchy. US$50,000 Outcomes 1, 3, 4 Strengthen the cooperation between protected areas of Issyk-Kul Province and the local communities in their buffer zones in order to preserve red-listed mammals. Development of ecotourism infrastructure to reduce the environmental impact of tourism in the target landscape. US$35,000 Outcomes 2, 3, 4 Preservation of local agrobiodiversity in Issyk-Kul Province by strengthening the legislative framework on biosafety and conducting an information campaign to promote organic agriculture and inform the public on the risks of using GMO products. US$31,000 Outcomes 1, 2, 3, 4 Preservation of the biodiversity of Lake Issyk-Kul through establishment of a fish farm in Lipenka village and restoration of endemic fish species such as Marinka (Schizothorax) and Osman (Diptychus). Special breeding conditions are created through the use of renewable energy in rearing ponds. An information campaign for the local population and the development of ecotourism near the fish farm are important elements of the project. US$34,000 Outcomes 1, 2, 3, 4 Preservation of medicinal plants growing in Issyk-Kul Province by an elderly women’s group in Grigorievka village, in cooperation with the Permaculture Center. Special greenhouses equipped with solar heating collectors will be used for cultivation of medicinal herbs, mushrooms and special types of sea buckthorn. US$50,000 Outcomes 1, 2, 3, 4 Establishment of a social enterprise in Tamchi village for cultivation of waterweed (Spirulina), which is used as a high-calorie and medicinal food additive for cattle. This will allow a reduction in the total volume of forage required for local cattle and protect local pastures from overgrazing. The community will use a special phyto-bioreactor powered by renewable energy and use water from a local mineral spring. 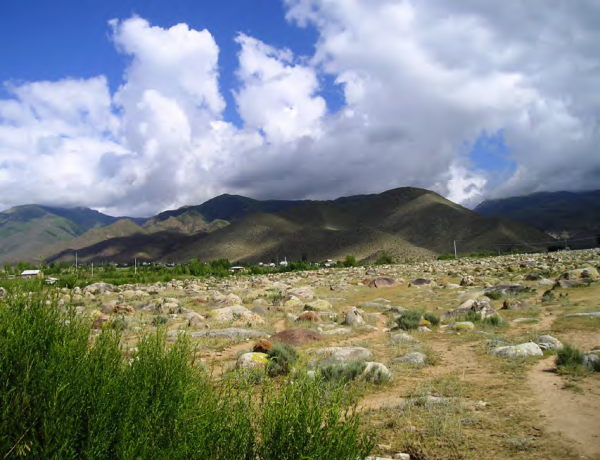 Enhancing the performance of state protected areas in both lakeside and mountain habitats: Several COMDEKS projects have improved the functioning of local protected areas, such as Sary-Chat-Ertash State Reserve and Issyk-Kul State Reserve, which together encompass nearly 100,000 ha of lakeside and mountain habitat. COMDEKS activities in and around these reserves gained the attention of both the government and the public, which led to accumulation of funds and subsequent improvements in infrastructure and management. For instance, one COMDEKS project provided the necessary technical and expert support to formulate a Management Plan for Sary-Chat Ertash Reserve. One result has been installation of solar photovoltaic panels at the guard post, providing lighting at night and improved working conditions. In Ak-Dobo village, another COMDEKS project created a bee farm as a community enterprise on the border of Issyk-Kul State Reserve, which created the conditions for development of ecotourism, and prompted the State to allocate funds for renovation of the local guard post and other infrastructure to better serve tourists. 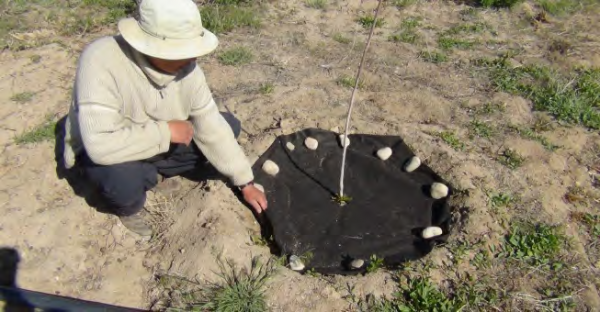 Demonstrating drip irrigation, endemic fruit trees, and other sustainable agricultural practices: Several demonstration zones for drip irrigation have been established, with the one in Kyzyl Suu village being the largest (30 ha) such demonstration in the country. 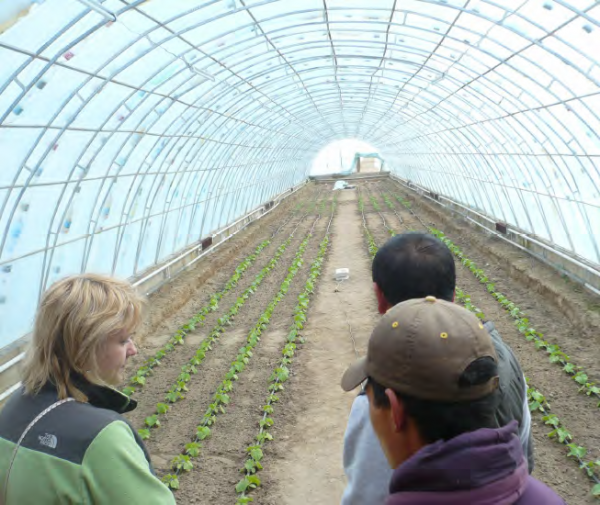 In addition, a demonstration zone for organic agriculture was set up in the Irdyk Bay area. Other sustainable farming approaches promoted were the growing of endemic pear, apple, cherry, and apricot trees, and the culture of a thornless variety of the local endemic oblepiha berry. One COMDEKS project contributed to protection of the native barberry bushes growing along the lake and established a small enterprise built around barberry fruit products such as jams and dried berries. Together, these practices will help reduce anthropogenic pressure on the coastal ecosystem. Restoring endemic fish populations. Two social enterprises in Lipenka village have been started by local communities to restore populations of two endemic fish species (Marinka and Osman). Rearing tanks are heated with solar energy. 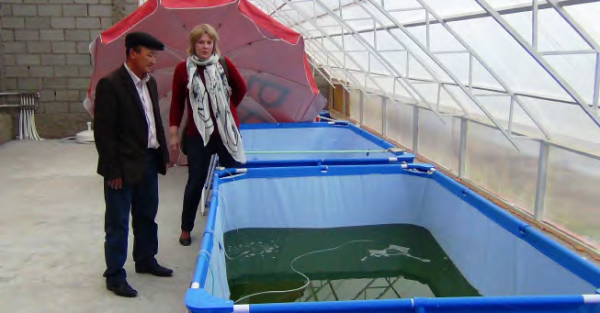 At the moment, these two are the only such fish farms in Kyrgyzstan run on ecological principles. Cultivation of endemic fishes is expected to have a positive influence on the 10,000 ha of the lake’s littoral (near-shore) zone – the habitat of the endemic and other species of fish. Creating and promoting an ecotourism infrastructure. COMDEKS projects contributed to the development of local ecotourism in several places around the lake. For example, the Issyl-Kul Natural History Museum was built in the city of Balykchy through a cooperative arrangement with the Kyrgyzstan Agency on Nature Protection and Forestry. The museum was created as a tourist attraction and to address the lack of public knowledge about local ecosystem conditions and the possibilities for more sustainable practices. The museum, which opened in May 2016, has displays on local biodiversity and conservation practices. It also serves as a place to collect and analyze traditional knowledge on sustainable management of the local landscape. It is expected to attract some 80,000 people annually, as it is located right at the entrance to the city. In another example, the Golden Bee Farm in Ak-dobo village was designed with tourists in mind, and gives tours on “the life of the bee hive” for children and adults. Tourist infrastructure and opportunities were also created at bird-watching areas in Sary-Oi village and Balykchy city, and the fish farm in Lipenka Village has a learning and demonstration area as well. Disseminating educational materials and lessons learned. A student manual called “Learning from Nature” will be made available to local schools, while 4-color posters encapsulating project learning (“Lessons on Sustainable Irrigation”, “Drip Irrigation”, and “Renewable Sources of Energy”) will be circulated locally. Project fact sheets on all COMDEKS projects are also available on the GEF website and for local use. Affecting policy at the national level. Some COMDEKS projects had direct effects on national policy, particularly the project to strengthen the national law on biosafety and the regulation of GMO products. At a more general level, COMDEKS projects contributed to the implementation of the objectives of the National Strategy for Sustainable Development of Kyrgyzstan for the period of 2013-2017, in which sustainable agricultural development is defined as a national priority. This contribution was acknowledged by the advisor of the Ministry of Economy and the vice-premier. The portfolio of COMDEKS projects will further contribute to generating necessary conditions for local organic production and eco-certification in Issyk-Kul. In addition, steps were taken to widely replicate and promote the COMDEKS project’s experiences all over the country, with the GEF SGP Office organizing several educational seminars for communities and farmers in six other oblasts (Chui, Talas, Naryn, Osh, Jalalabad and Batken). The planning and implementation process for the 15 projects in the Kyrgyzstan COMDEKS portfolio brought together a wide range of government officials, local civil society groups, and business associations, creating a solid foundation for future collaboration in landscape governance. This included 15 NGOs/CBOs, 14 local authorities in different jurisdictions around the lake, the Governor of Issyk-Kul Province, officials from all local Protected Areas, the Ministry of Economic Development, fruit-growers and beekeepers associations, Issyk-Kul State University, the National Academy of Science, and the State agency on nature protection and forestry. Special efforts have been made to continue the collaboration, particularly among local civil society groups in the landscape, with the creation of a network of COMDEKS NGOs/CBOs, with several workshops and knowledge fairs already conducted. The Kyrgyzstan COMDEKS Programme has also been active in disseminating its work to government officials so that it can affect governance policy throughout the Lake region and beyond. The GEF SGP Office closely cooperated with the administration of Issyk-Kul Oblast, informing the Governor and his team of the positive examples and lessons learned during the implementation of the initiative. The best practices of COMDEKS projects were offered as examples for wider dissemination and integration into the development plans of Issyk-Kul Oblast, as well as the Strategic Plan for the Development of the Issyk-Kul Biosphere Territory. Two innovative demo-zones (an “eco-household” with a bio-cleaning system for cattle manure and a fish farm operating on solar energy) were created in cooperation with the Ministry of Economy of Kyrgyzstan, which is going to widely share related experiences in Kyrgyzstan. Advanced studies on soil bioremediation methods – the first in Kyrgyzstan – were also continued. In cooperation with the National Centre of Climate Change, the COMDEKS project in Kyrgyzstan also contributed to the development of the Issyk-Kul Oblast’s landscape forecasting maps reflecting climatic changes; a map of climate change adaptation costs has been compiled already along with practical recommendations regarding locally appropriate adaptation and mitigation. Realization of the Landscape Strategy is only possible if strong multi-stakeholder partnerships are built. To achieve this under the pilot initiatives of the COMDEKS project, numerous informational and educational meetings with local stakeholders were held. These included representatives of local authorities, community leaders, farmers’ and water users’ associations, pasture committees, women’s and youth groups, etc. A specialized electronic mailing system for NGOs in Issyk-Kul Oblast that was created as part of COMDEKS activities proved very useful in ensuring a widespread and timely dissemination of news and information on COMDEKS projects to the public. Cross-project activities are very effective. For example, the grantees from all COMDEKS projects collaborated to create the exhibits in the Issyk-Kul Natural History Museum in the city of Balykchy. The result is that all the best practices from the individual projects are presented there, as well as traditional knowledge of sustainable landscape management in Issyk-Kul. All the participants are encouraged and proud of their joint efforts. If projects align with current efforts already underway in the government, it can increase their policy influence at the local and national levels. For instance, Kyrgyzstan now is joining the Eurasian Customs Union and is therefore focusing on development of the agricultural sector, making COMDEKS efforts well-aligned with government efforts and well-timed to capture the interest of policymakers. Cooperation with scientific institutions is very important, as it helps to avoid some of the risks associated with introducing technical innovations, such as the soil decontamination, spirulina cattle feed supplement, and other innovations COMDEKS projects have promoted. Innovation in the use of technology was a key element in achieving many project results. For example, bioremediation was used for the first time in Kyrgyzstan to restore wetland habitat for whooper swans. Elsewhere, a bio-cleaning system to process cattle waste was deployed in cooperation with the Ministry of Economy. In addition, solar energy was used in several instances to warm fish ponds and nurseries. These examples show that eco-innovations can greatly aid the success of local projects if deployed intelligently, and can help these successes become more noticeable and widely disseminated.